Mr. Coleman makes an excellent point. Big thank you to katwilson04 for writing this piece. Now that Lady Gaga has come out and announced to the world she has been diagnosed with Fibromyalgia, im seeing all these “wonder” cures popping up everywhere. Perhaps because of Gaga, the world is starting to pay more attention, but are they really? Or are they just jumping on the fibro bandwagon? 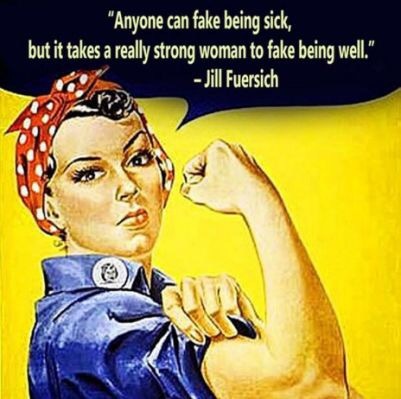 Because of its relatively unknown-ness in the world, is it any wonder people are starting to see Fibromyalgia as a “fake disease”? Because hey, Gaga can perform and even dance on a stage and travel the world, so surely it can’t be that bad, and we are all making it out to be worse than it is. Hypochondriacs.